Only one of them seems worth your attention, though. Luckily HTC gets a second try. 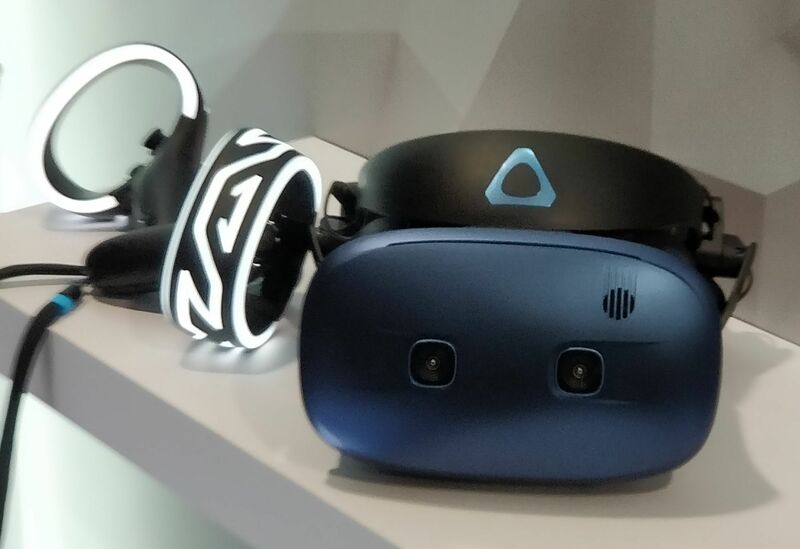 At CES, HTC hosted a small press conference that revealed multiple new pieces of hardware: The Vive Cosmos and Vive Pro Eye. Details on both were skimpy, but perhaps HTC’s finally landed upon a proper Oculus Quest competitor. Let’s cover the more interesting announcement first, yeah? The Vive Cosmos is a semi-standalone headset, designed for easy setup and long-term comfort. It is, if we extrapolate a bit, a direct competitor to the Oculus Quest—or the closest we’re going to get from HTC. You’ll notice I said “semi-standalone.” That’s probably the most interesting hook for the Vive Cosmos. We didn’t get many details during the show, but it sounds as if the Cosmos will be able to hook up to your PC for a high-fidelity experience, or be detached for a more mobile use-case. It doesn’t look like the Cosmos has wires though, which makes me wonder whether the recent HTC Vive wireless adapter—the one using Intel’s WiGig tech—is built straight into the headset this time. That’d perhaps allow for a PC experience sans-wires as well as a lightweight mobile experience. In any case, tracking is handled by two cameras on the front of the headset. That’s a step down from the Oculus Quest’s four edge-array cameras, so I’ll be curious to put the Vive Cosmos through its paces at some point. I haven’t been impressed by any dual-camera setups yet, be it the Vive Focus or the bevy of Windows MR headsets, but I’ll reserve judgment for now. We didn’t get any real specs, regardless. There were no details on the screen, nor the audio solution. The controllers look similar to the redesigned Vive Focus wands (albeit with Tron-esque light channels around the outside), which isn’t the Oculus Touch competitor people have been hoping for. The best I can say is the Vive Cosmos has potential. If you asked me right this minute I’d wager the Oculus Quest seems like a bolder and more exciting headset, but we know so little about the Vive Cosmos it’s hard to say for sure. Ask me again after GDC, where we’ll presumably get plenty of hands-on demos. Now the confusing part: HTC announced two standalone headsets at CES. The Vive Cosmos seems like the more consumer-focused of the two, and like it’s being positioned as an Oculus Quest competitor. The Vive Pro Eye seems more enterprise-focused, even though there’s very little to distinguish it from the Vive Cosmos. Again, we’ve got a standalone headset with dual front-facing cameras, allowing for inside-out position tracking. 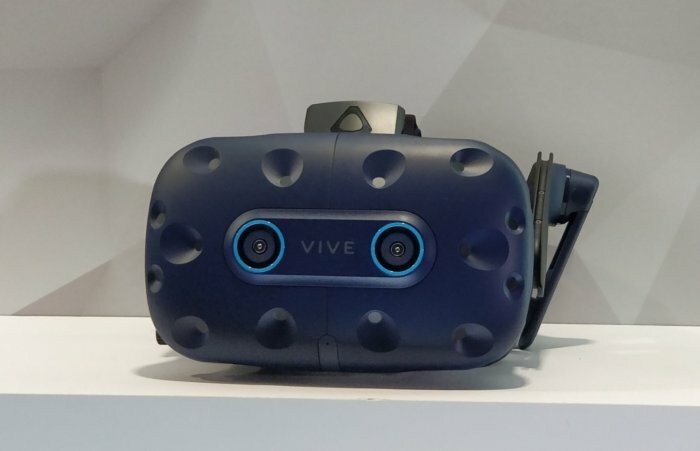 The interesting hook with the Vive Pro Eye is the inclusion of eye-tracking. I’m assuming that tech resulted from a partnership with Tobii, but HTC didn’t say for sure, promising more details later this year. Regardless, you’ll be able to both navigate the headset and VR experiences with eye-tracking. More importantly, eye-tracking allows for Dynamic Foveated Rendering, drastically reducing the performance overhead for VR by rendering areas you aren’t actively looking at in lower fidelity. We saw a Tobii demo last March and were incredibly impressed. That said, it’s strange to see eye-tracking siphoned off to its own Vive headset model and not included with the Vive Cosmos—especially if the Vive Cosmos is a PC/mobile hybrid of sorts. Dynamic Foveated Rendering would theoretically boost performance of those mobile experiences a not-insignificant amount. It seems like a perfect fit for HTC’s new flagship, not an also-ran like the Vive Pro Eye. That’s how it’s been for almost three years now. But they keep trying. HTC’s primary hook has been Viveport’s subscription’s service, which allows you to pay $9 a month to play five games of your choosing. That’s how it’s functioned up until now, at least. One of HTC’s “major” announcements at CES is Viveport Infinity, which restructures the subscription into a more traditional model, allowing you to access all the games on the service for a flat monthly fee. No more picking and choosing. Is it enough for me to switch to Viveport? Probably not. But hey, it could be cool for those who like playing the smaller, more experimental VR titles. Look for the upgraded Viveport Infinity on April 5. More interesting is Vive Reality—not because of how it functions, but because of what it represents going forward. 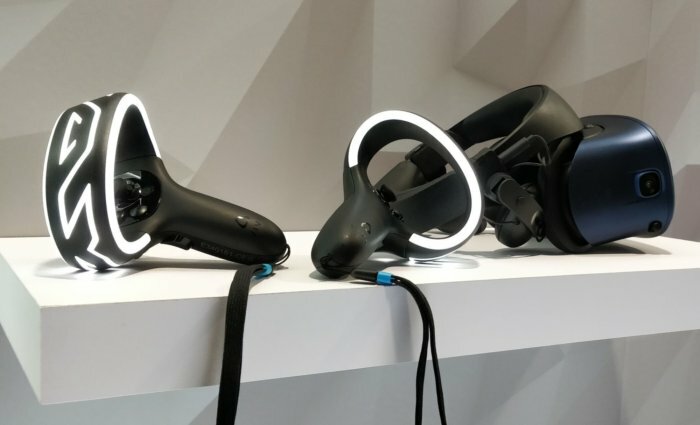 VR launchers were a really exciting feature two or three years ago, but in 2019? Not so much. HTC feels pretty late to the party here, announcing Vive Reality, a social hub and/or immersive launcher for Viveport, as far as I can tell. At first I thought that was the whole story, a non-issue at best. It’d be interesting for Viveport users, but SteamVR makes the whole idea redundant. But HTC made a big show of the Vive Cosmos being the first device to run Vive Reality—so it’s not just a launcher for the Viveport. In fact, I get the feeling HTC is trying to freeze Valve out of the Vive Cosmos entirely. If I’m reading the room right, Vive Reality might lock down the Vive ecosystem, constructing a walled garden around what was originally a more open headset platform. I’m not 100 percent certain that’s what Vive Reality represents, but it’s the most likely explanation I can think of. If that’s the case, it’s a significant blow to SteamVR—which, for all Valve’s flaws, is still probably my favorite (and the most reliable) implementation of a VR storefront. There aren’t enough details though—not for Vive Reality, not Vive Cosmos, not Vive Pro Eye, none of it. Oculus has mastered the art of revealing new products. HTC isn’t nearly as well-oiled a machine. We’ll keep an eye out for any more tidbits of info from CES, but failing that? Expect a bunch of news around GDC, I’d assume.